If you are interested in becoming certified to teach yoga, please look at our program! There is no other that provides you with the support and education than this one. Karen Kinnard, E-RYT has been training yoga teachers since 2006. The class sizes are sometimes 3 students and sometimes 12. We do not run our programs constantly, our teachers are professional yoga teachers who currently teach and currently practice. They are some of the most highly trained and authentically trained teachers in the world. Read about our training, mentorship and our staff. Applications are being accepted now through December 15. Early register applications are due by November 15. If tuition is paid in full by Nov. 15, it is $2800. Paid in full by December 15, $3000. After that we do have payment plans with monthly payments of $430 for 8 months or $287 for 12 months (must be paid in full as a condition of receive 200 Hr YTT Certificate). Program dates: Jan 11 - Sept 30, 2019. You are the one - a workshop to lead participants through self-inquiry - into your own authenticity - "be" growth, empowerment and greatness for yourself and others. A course for those wishing to begin a yoga practice or fine tune their yoga postures and connect more deeply within mind/body. Available for beginners through advanced students. Yoga studios, businesses, or small group/individuals. I teach 3 levels of Reiki. 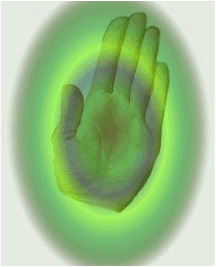 Reiki 1 will introduce to reiki, Reiki 2 introduces skills for long distance/time healing and practicing Reiki skills since first session. Reiki 3 is the Master level for those wishing to use reiki in their career. For anyone. (CE2.0) Life Happens. Yes you could say Sh-t happens - because it does. At some point in your life, you will be faced with the death of a loved one, a natural disaster and possibly even a human-caused event. As human beings, at some point, we will have to deal with trauma. How we live our daily lives before, during and after will determine how we manage these events. Ideally, we create a practice to prepare us, however, if you are still reading this, you have probably already experienced a hard event in your life. This workshop is to support you in creating/continuing your own personal practice.